THE SIMPLE, COST EFFECTIVE METHOD TO PRODUCE EXCELLENT ALL GRAIN BEER! Welcome to wilserbrewer BIAB Bags. We have been satisfying homebrewers, homebrew shops and several small breweries since 2011 when the BIAB method gained a foothold in the USA. 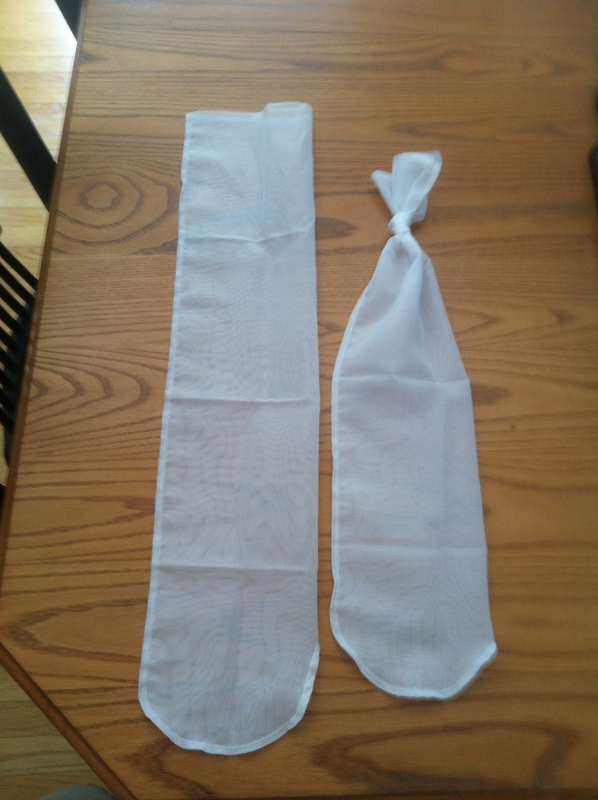 Durable and reasonably priced polyester voile custom sized BIAB Bags last many batches! Many reports of over 100 batches and still going strong. 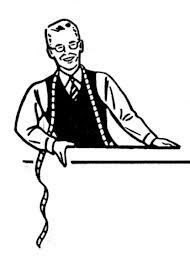 "Seriously, Wilser's product is impressive, his service is impeccable, and his prices are frankly too low. The only reason I've ever had to replace a bag is for a kettle upgrade." Top Quality BIAB Bags, ratchet pulleys and hop bags at reasonable prices. 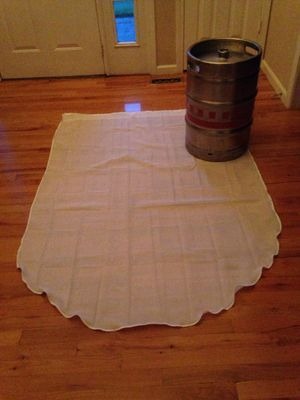 Polyester voile BIAB bags are custom sized for your kettle, keggle, or cooler mash tun. Bags are triple stitched with polyester thread, are very strong and are capable of lifting the largest of grain bills easily, yet also permit nice runoff of the brewing wort. Bags come with strong (200 lb break) nylon cord drawstring, with cord lock pull to cinch bag over and around kettle top rim, keeping the bag secure to the kettle for easy mashing. 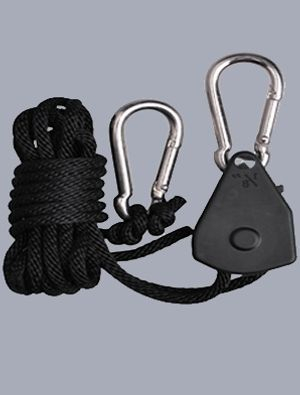 The drawstring can be easitly and securely attached to a pulley hoist for grain bag removal. wilserbrewer "Grand Slam" 4 piece package deal, includes BIAB Bag, Hop Boil Bag, Dry Hop Sock, and ratchet pulley, only $32 plus $5 USA shipping, Please include note to seller on Paypal w/ kettle width and height. Grand Slam 4 piece package, $32 plus $5 shipping. Please be sure to email your kettle outside diameter including the kettle rim and height, or just indicate keggle to to assure a nice fit. We ship quick, most orders shipped within 24-48 hours. Grand Slam BIAB value package, includes BIAB Bag, hop boil bag, dry hop sock, and a ratchet pulley. All BIAB Bags, Hop Socks, and Hop Bags hand sewn in the USA! Material may be sourced globally. a very useful feature making BIAB that much simpler. 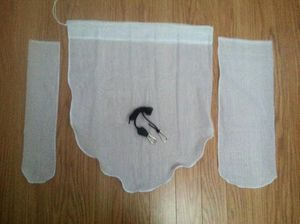 Hop bags for use with Hop-Spiders, also bag can be simply clipped to the side of the kettle with a clothes pin or binder clip. 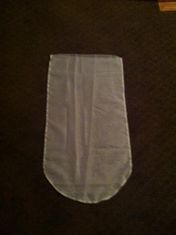 Typical size is 10"W X 26"L. Polyester voile material. Now available for separate purchase. Scroll to bottom of the page. The handy solution to dry hopping either in a keg or fermenter. 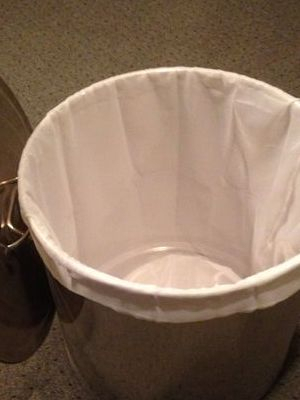 Bags are roomy, approximately 5" X 25", constructed w/ durable polyester voile material. Simply fill w/ hops, knot closed and toss in for that West Coast bold hop aroma. Two bags for $7, plus $4 shipping. 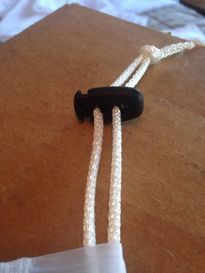 BIAB 1/8" Poly Cord Rope Ratchet Pulley now available from wilserbrewer. Pulleys are rated to 75 lbs and have a ratchet mechanism to keep the bag suspended above the kettle without holding onto the business end of the hoisting rope. A very handy, convenient solution to grain hoisting issues. 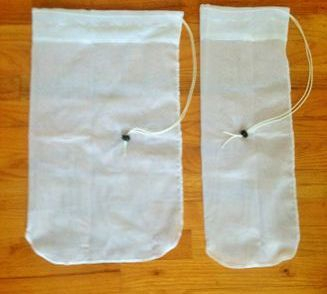 Simply let the bag hang and drain, no more squeezing hot grain bags. I have used these pulleys for grain bills over 35 lbs with success! Highly recommended! Suggested lifting with pulley attached at load, this positions the ratchet release within reach. Larger 150 lb capacity ratchet pulley available as a Grand Slam package upgrade, only $8 additional. We apologize for the simplicity of the store, multiple purchases require multiple paypal "buy it now" transactions, please contact me for larger orders, combined shipping of $5 applies to all purchases, any excess shipping incurred will be promptly refunded via paypal. Scroll to bottom to purchase International Shipping separately for $10 additional, or next day Priority Mail shipping for $5 additional. 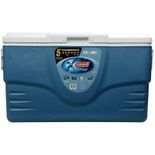 For kettles up to 20 gallons and round beverage coolers, $22 plus $5 USA shipping, Please email kettle outside width and height after purchase , or indicate keggle. Grand Slam 4 piece package deal includes a custom size BIAB Bag, Hop Boil Bag, Dry Hop Sock, and our standard 1/8", 75 lb ratchet pulley, only $32 plus $5 USA shipping, Please email kettle outside width and height after purchase , or indicate keggle. Please note: The standard 1/8" pulley while quite capable is an economy option that pairs well with smaller 8 - 10 gallon kettles. For larger kettles, or for those that prefer more substantial equipment we highly recommend the 1/4" pulley Grand Slam Package below. While slightly more expensive, we feel the incremental cost is justified. Grand Slam 4 piece package deal as shown above w/ heavy duty 150 lb capacity ratchet pulley w/ metal gear, only $40 plus $5 USA shipping, This larger pulley pairs well with larger kettles over 10 gallons, or for those that prefer "heavier" more substantial equipment. Please email kettle outside width and height after purchase , or indicate keggle. ADD a BIAB bag w/ any bag purchase only $18, free shipping on additional bags. Bags may be different sizes. BIAB Bag for chest coolers up to 70 qt. $28 plus $5 shipping. Drawstring closure for closing bag and hanging in kettle of fermenter. Will guarantee next day shipping if your order is placed by 7 pm EST.